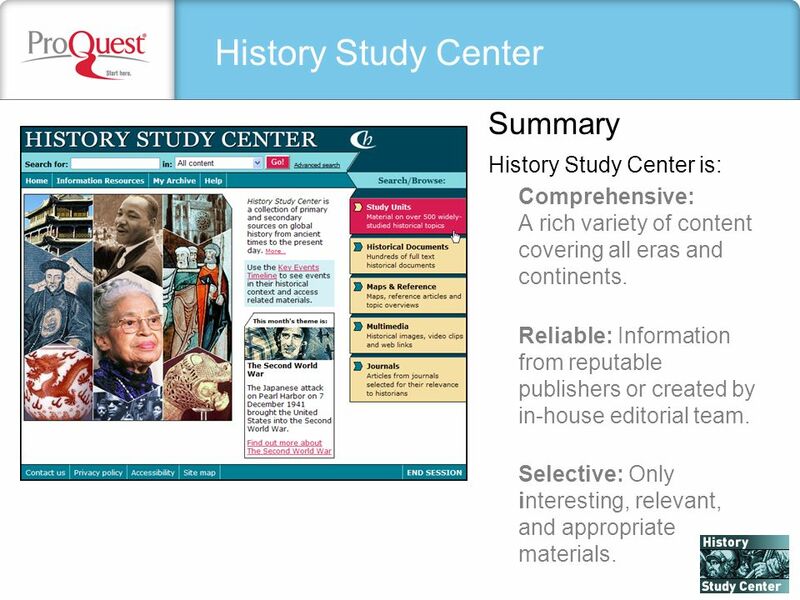 History Study Center Primary and secondary sources documenting global history 2008. 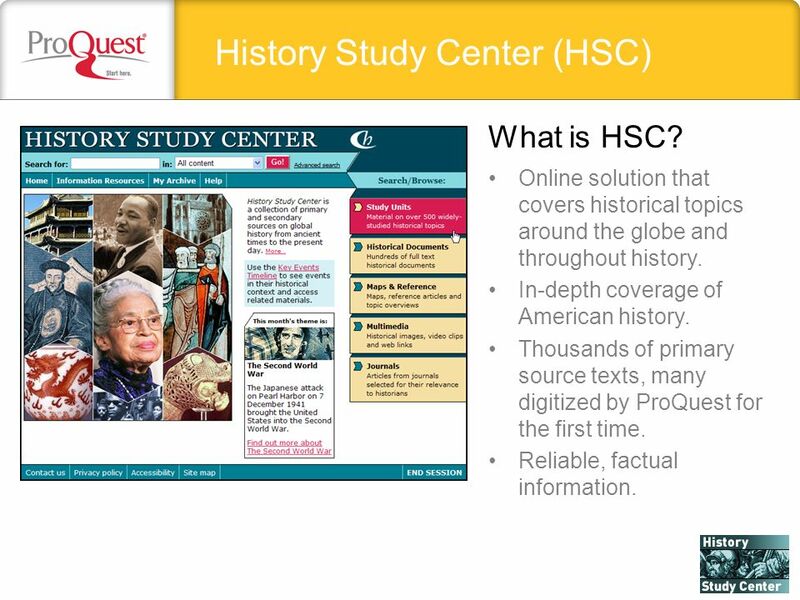 2 History Study Center (HSC) Online solution that covers historical topics around the globe and throughout history. In-depth coverage of American history. 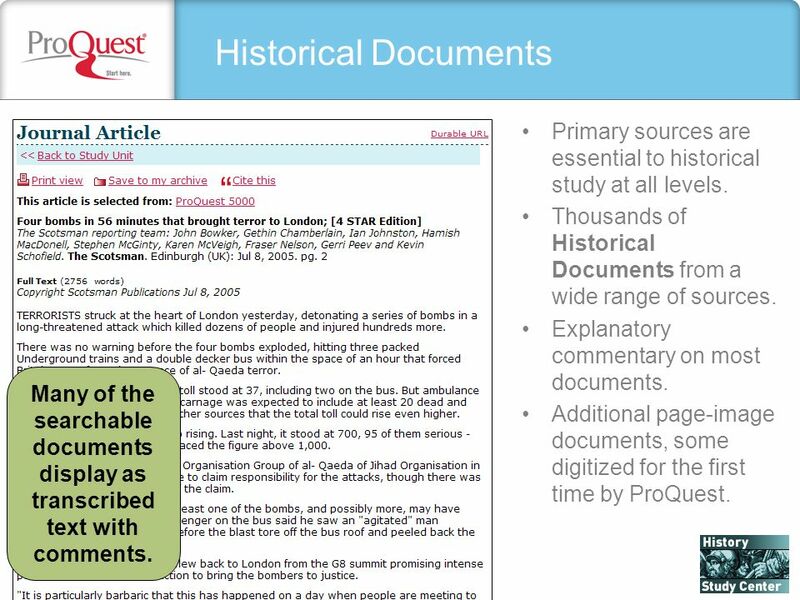 Thousands of primary source texts, many digitized by ProQuest for the first time. Reliable, factual information. What is HSC? 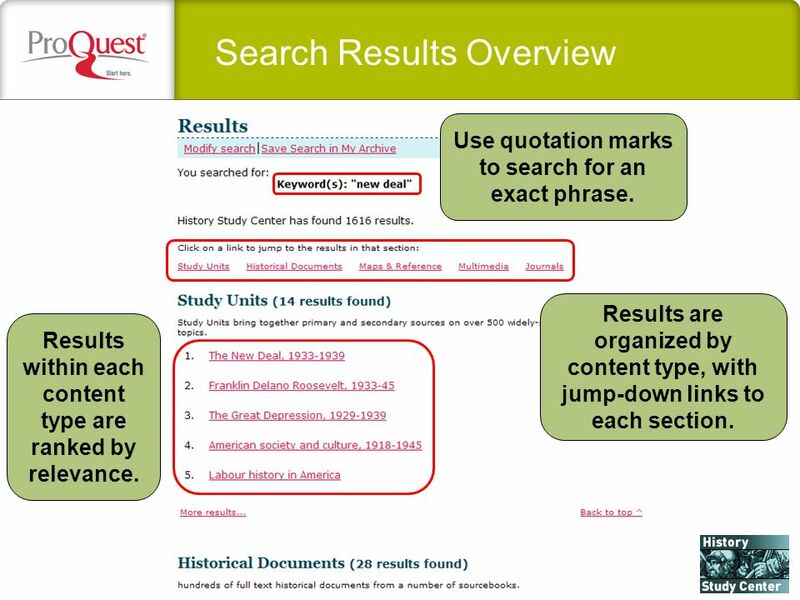 10 Search Results Overview Use quotation marks to search for an exact phrase. Results are organized by content type, with jump-down links to each section. Results within each content type are ranked by relevance. 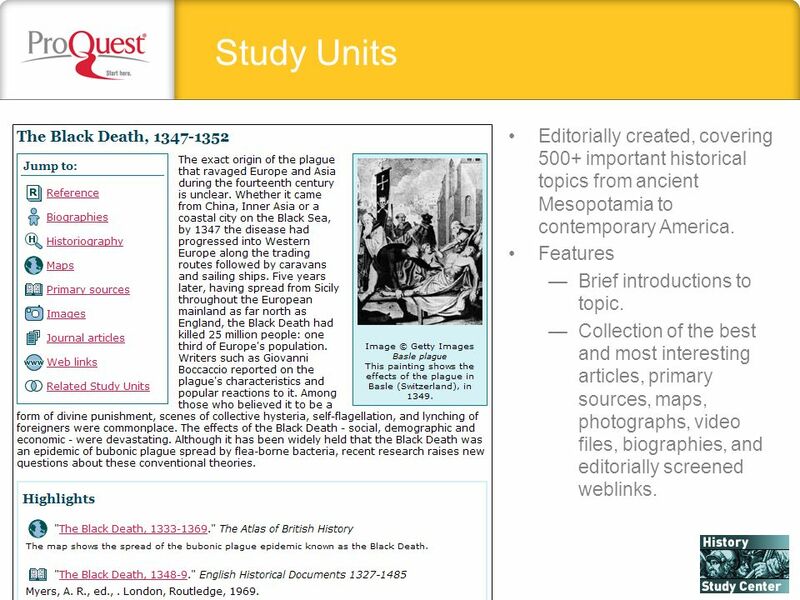 11 Study Units Editorially created, covering 500+ important historical topics from ancient Mesopotamia to contemporary America. Features Brief introductions to topic. Collection of the best and most interesting articles, primary sources, maps, photographs, video files, biographies, and editorially screened weblinks. 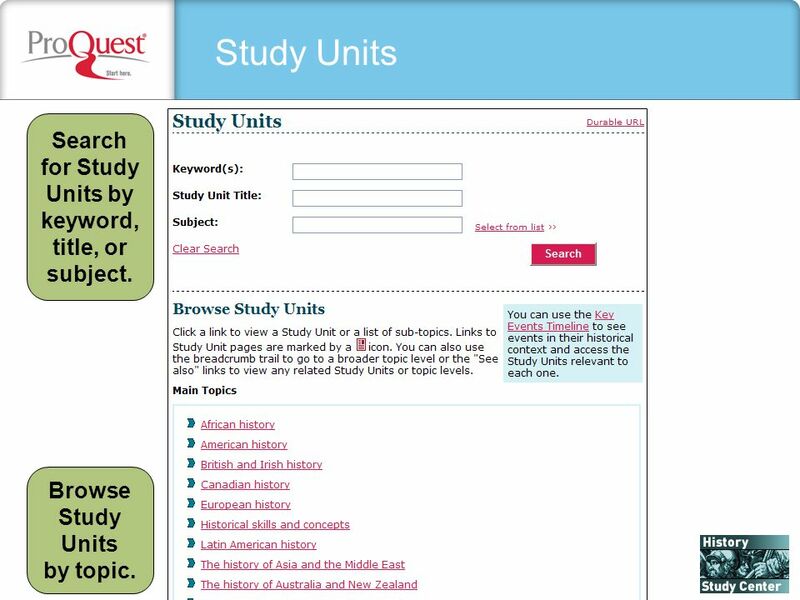 12 Study Units Search for Study Units by keyword, title, or subject. 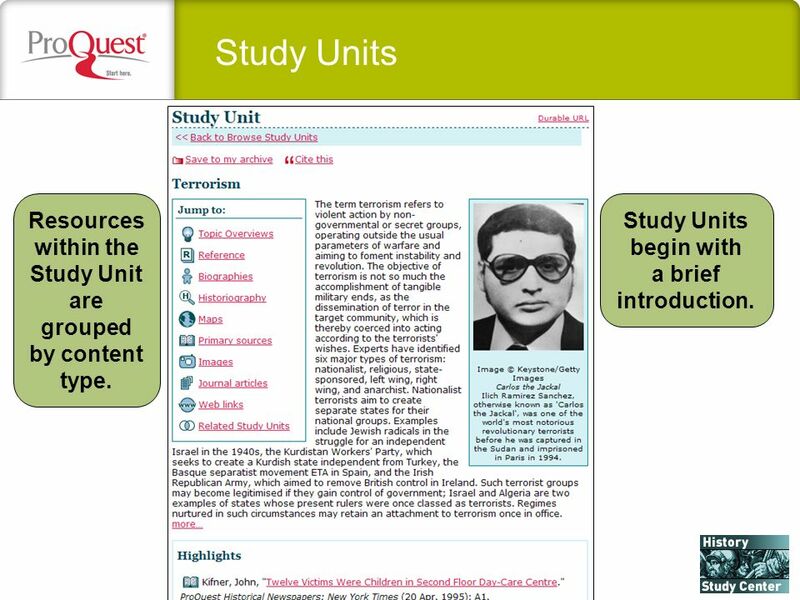 Browse Study Units by topic. 13 Study Units Study Units begin with a brief introduction. 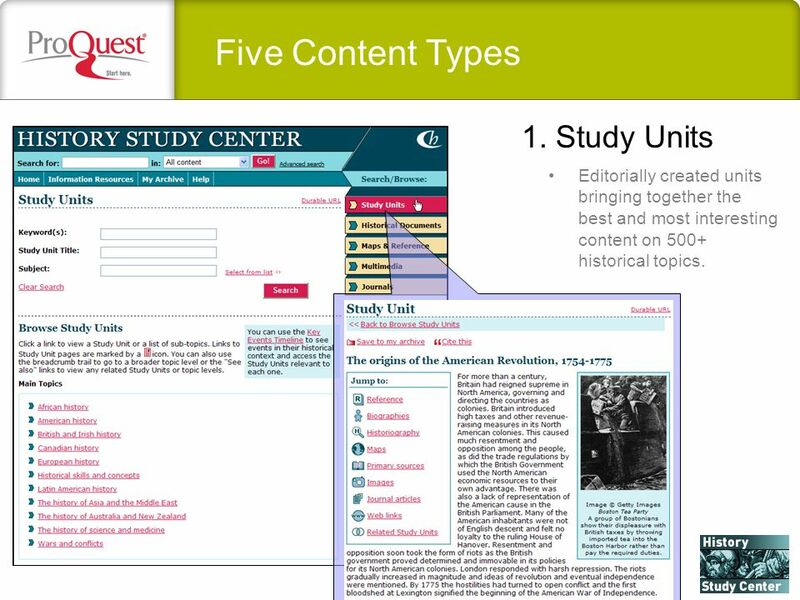 Resources within the Study Unit are grouped by content type. 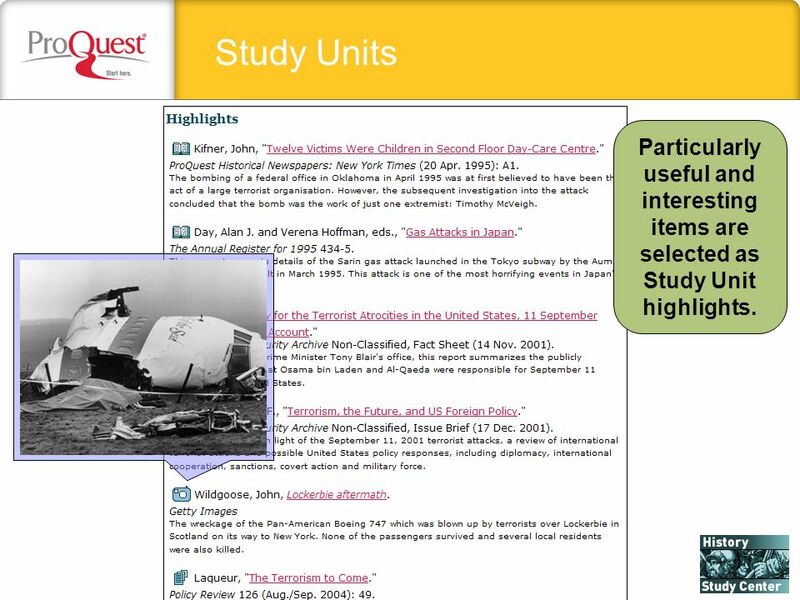 14 Study Units Particularly useful and interesting items are selected as Study Unit highlights. 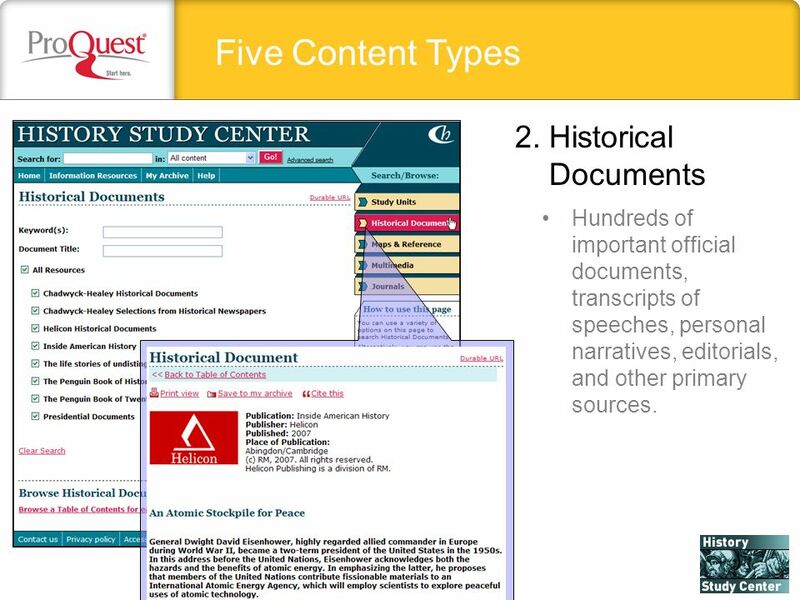 15 Historical Documents Primary sources are essential to historical study at all levels. Thousands of Historical Documents from a wide range of sources. Explanatory commentary on most documents. 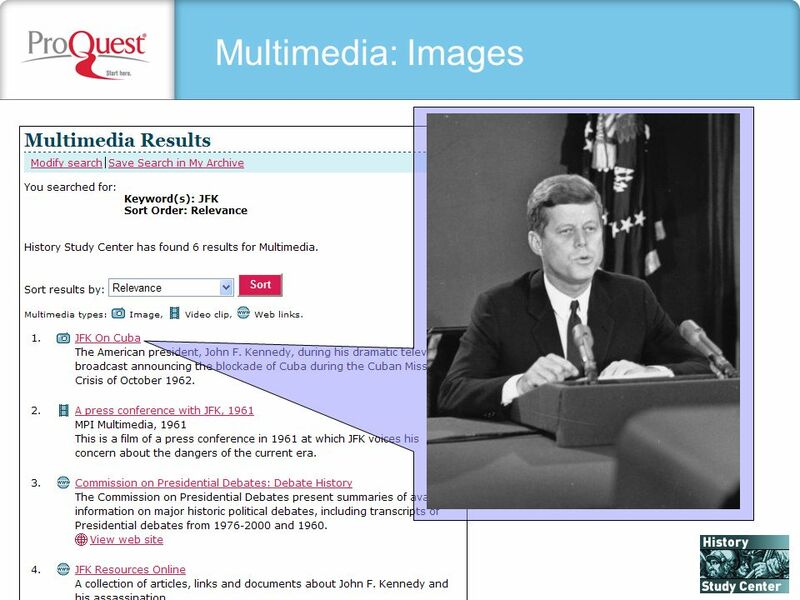 Additional page-image documents, some digitized for the first time by ProQuest. Many of the searchable documents display as transcribed text with comments. 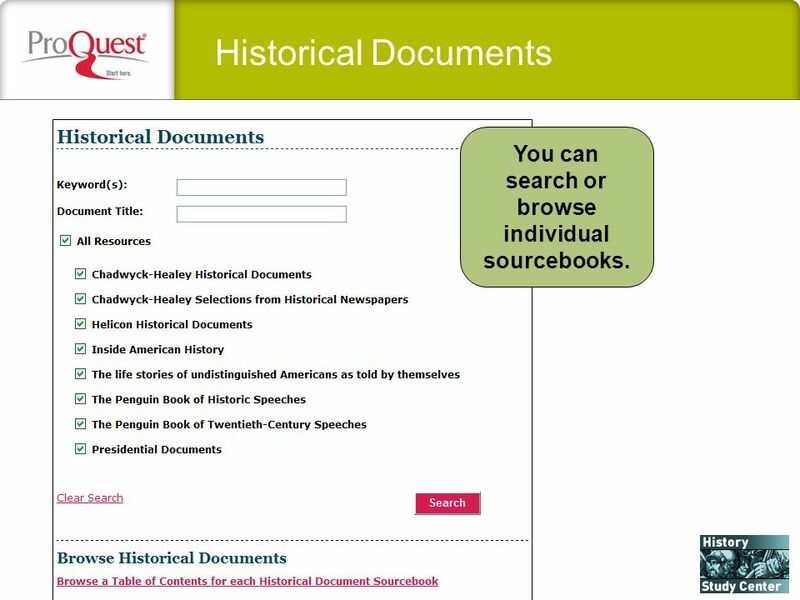 16 Historical Documents You can search or browse individual sourcebooks. 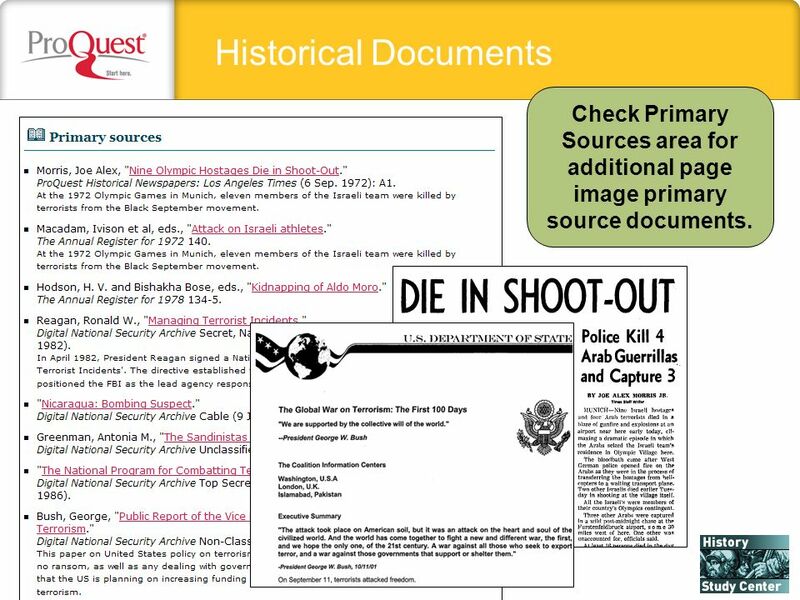 17 Historical Documents Check Primary Sources area for additional page image primary source documents. 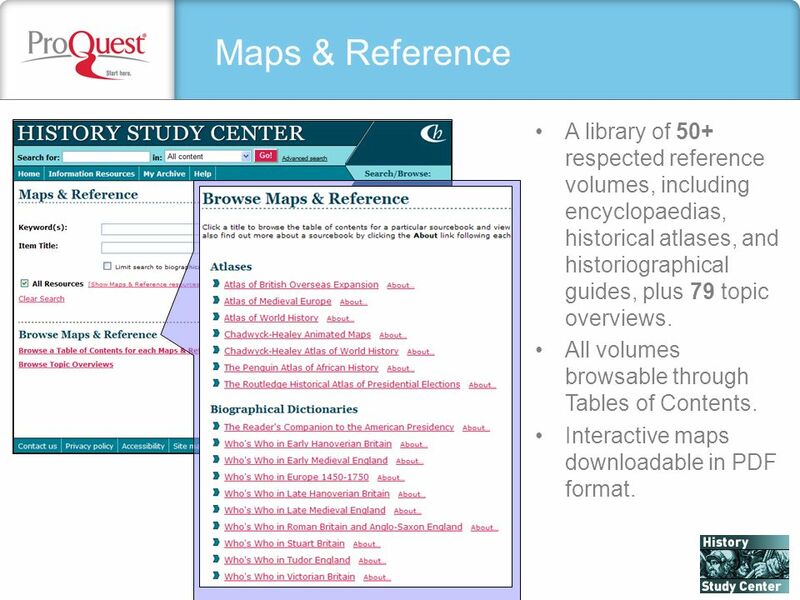 18 Maps & Reference A library of 50+ respected reference volumes, including encyclopaedias, historical atlases, and historiographical guides, plus 79 topic overviews. All volumes browsable through Tables of Contents. 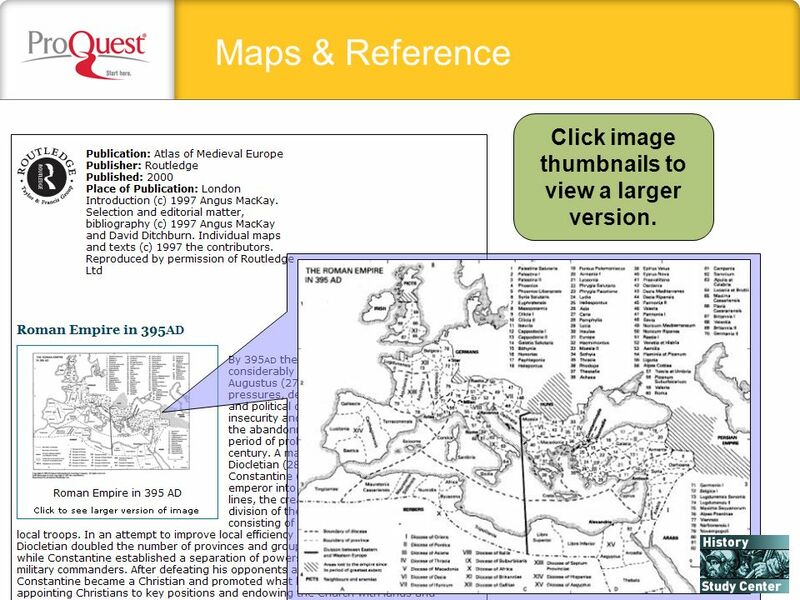 Interactive maps downloadable in PDF format. 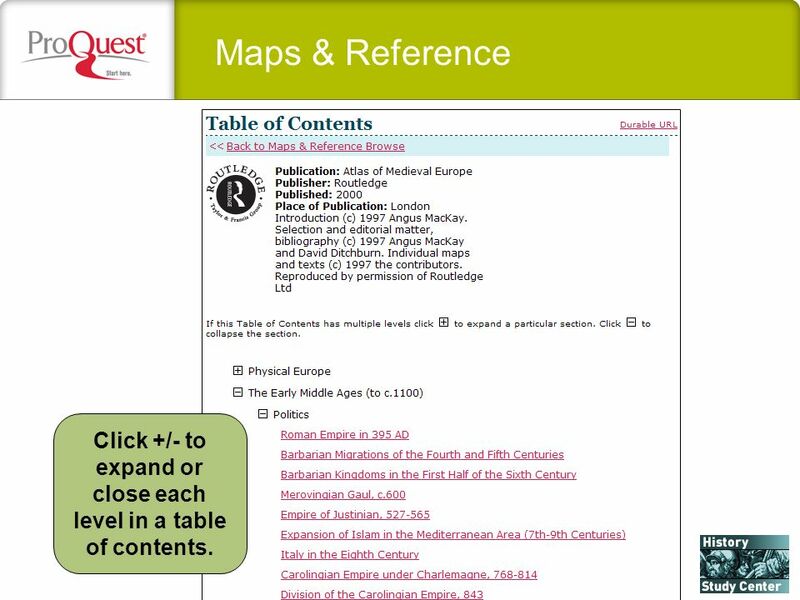 19 Maps & Reference Click +/- to expand or close each level in a table of contents. 20 Maps & Reference Click image thumbnails to view a larger version. 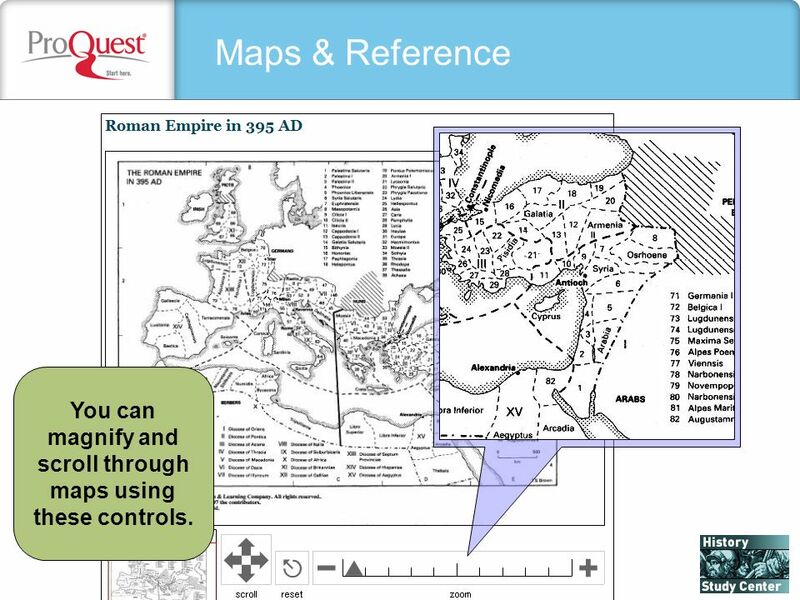 21 Maps & Reference You can magnify and scroll through maps using these controls. 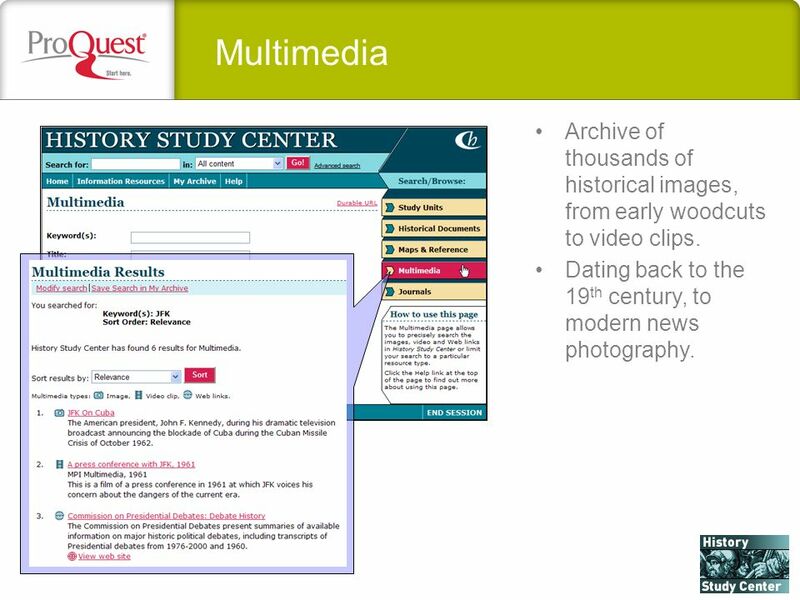 22 Multimedia Archive of thousands of historical images, from early woodcuts to video clips. Dating back to the 19 th century, to modern news photography. 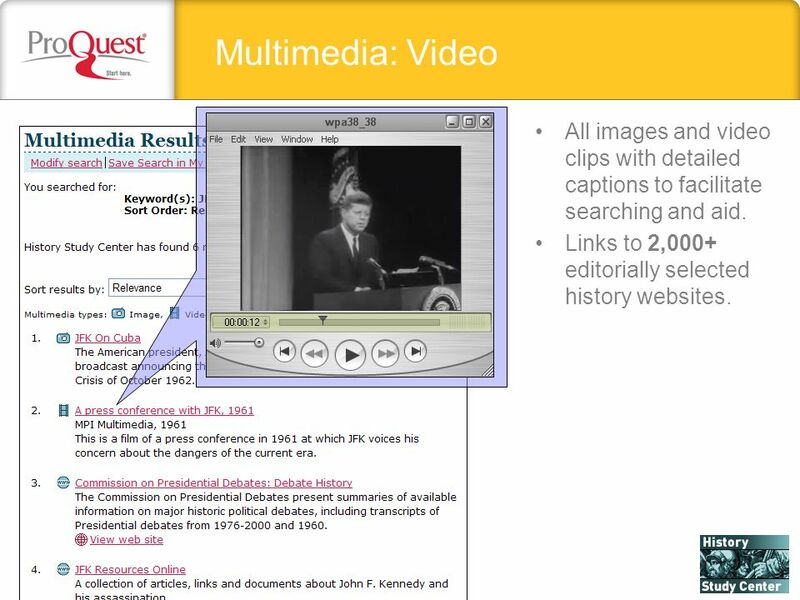 23 Multimedia: Video All images and video clips with detailed captions to facilitate searching and aid. 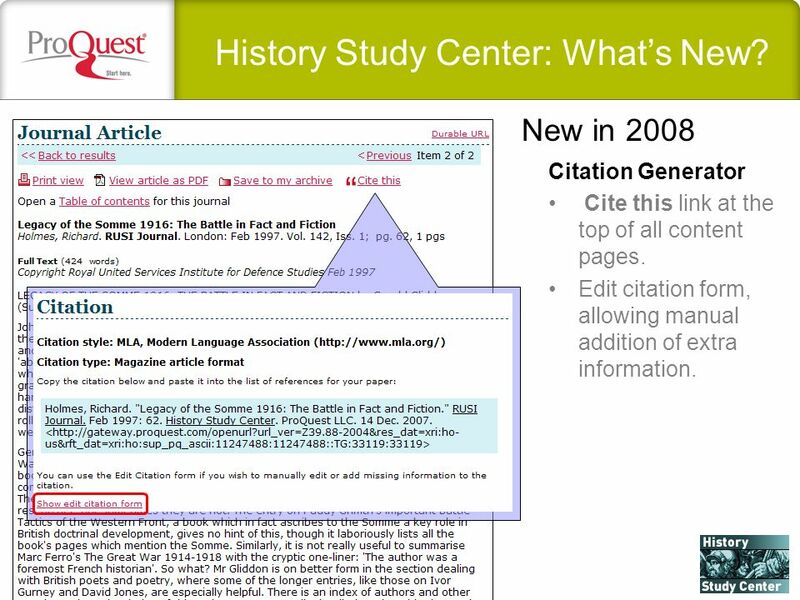 Links to 2,000+ editorially selected history websites. 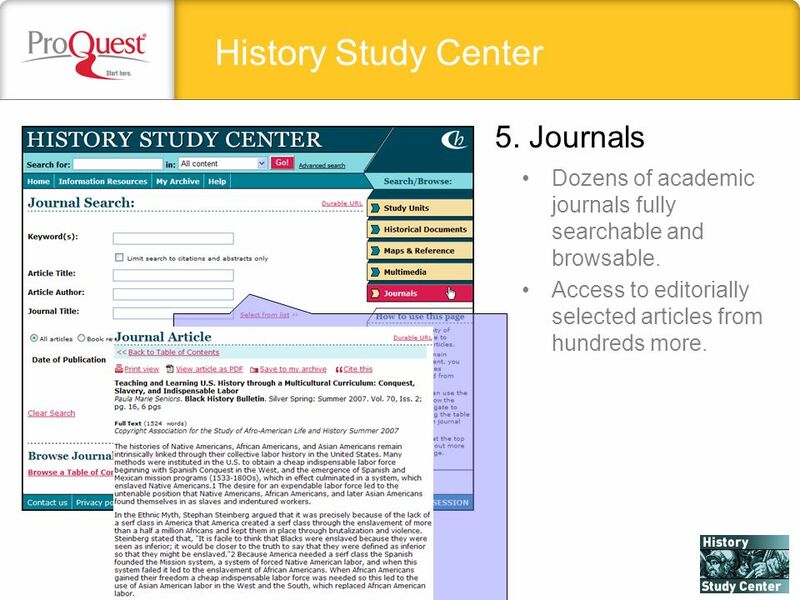 25 Journals Search and browse thousands of full-text articles from 60 journals. Regularly updated with new issues. 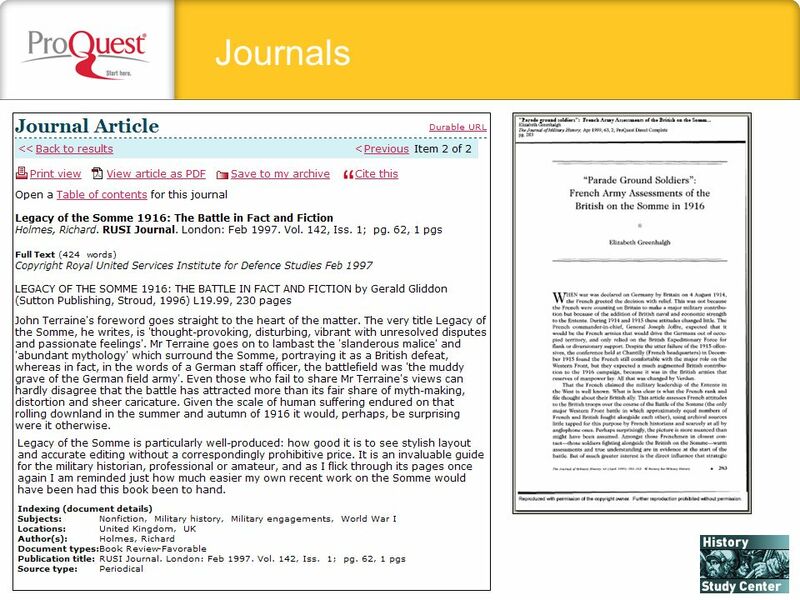 Titles include History Today, Foreign Affairs and Journal of American History. Additional selected articles are included in appropriate Study Units. 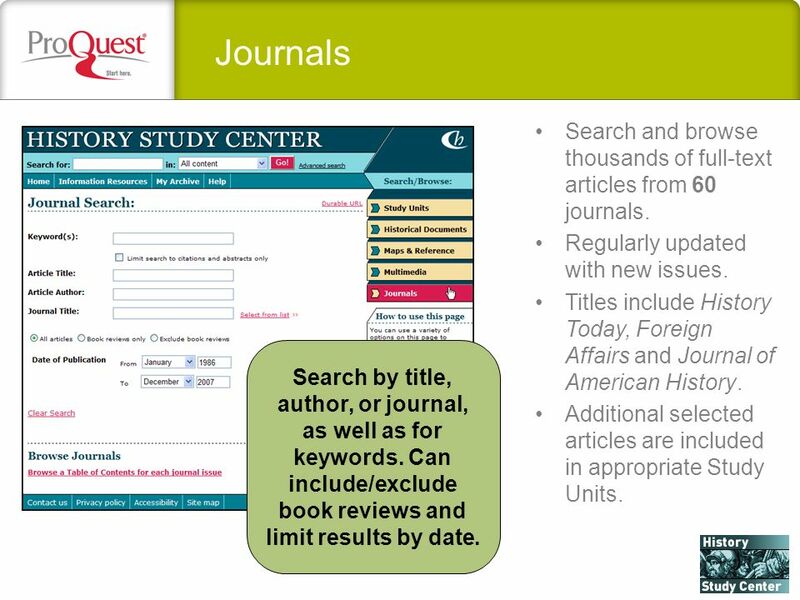 Search by title, author, or journal, as well as for keywords. Can include/exclude book reviews and limit results by date. 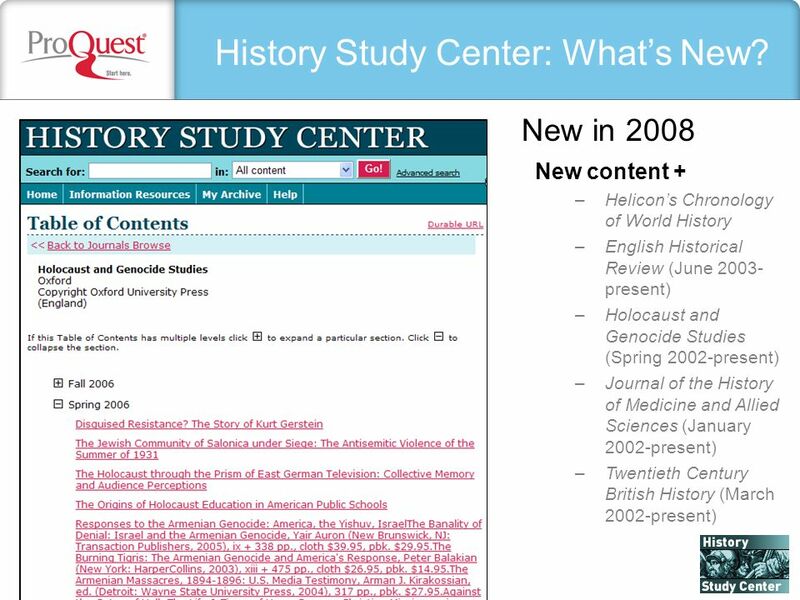 Download ppt "History Study Center Primary and secondary sources documenting global history 2008." Welcome to a guided tour of Oxford Reference. Please click the forward arrows to advance to the next section or click on a topic in the left-hand table. ELibrary Elementary The user-friendly general reference solution for your elementary school 2008. 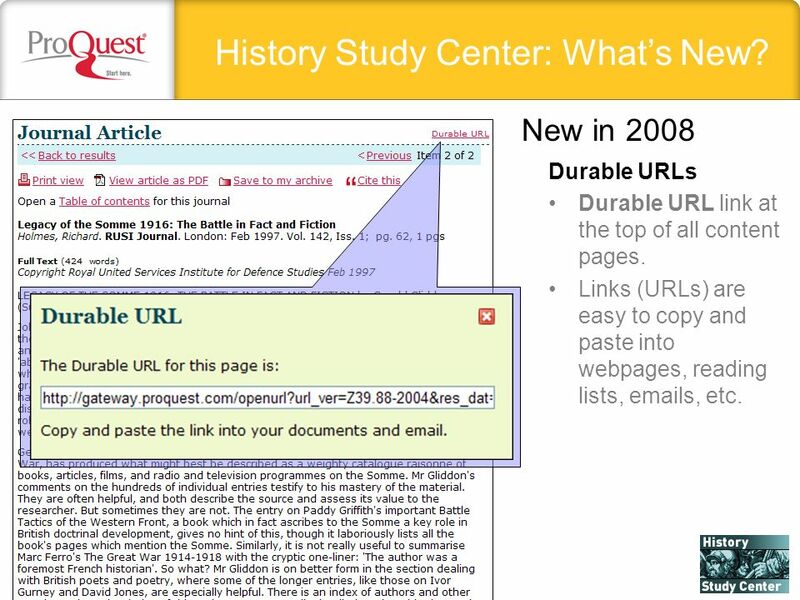 ELibrary The user-friendly general reference solution 2008. 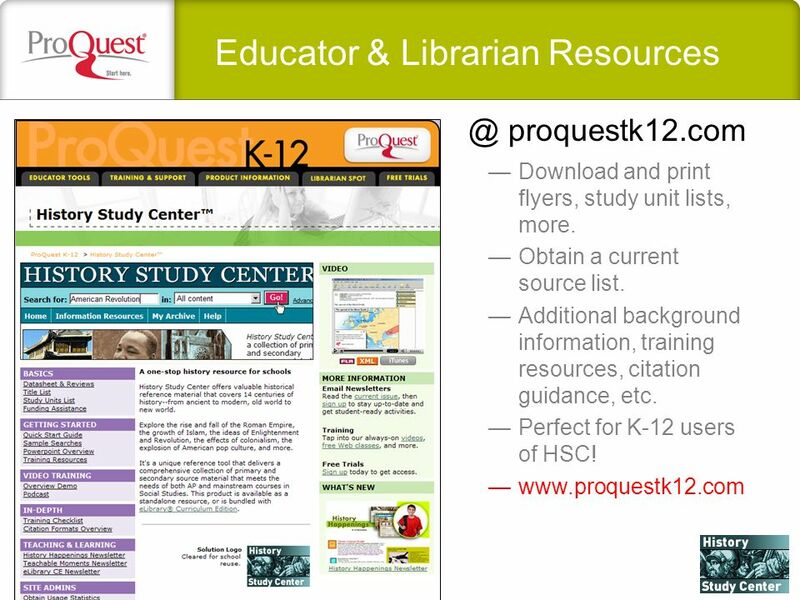 ELibrary Curriculum Edition (CE) The ultimate K-12 curriculum and reference solution 2008. 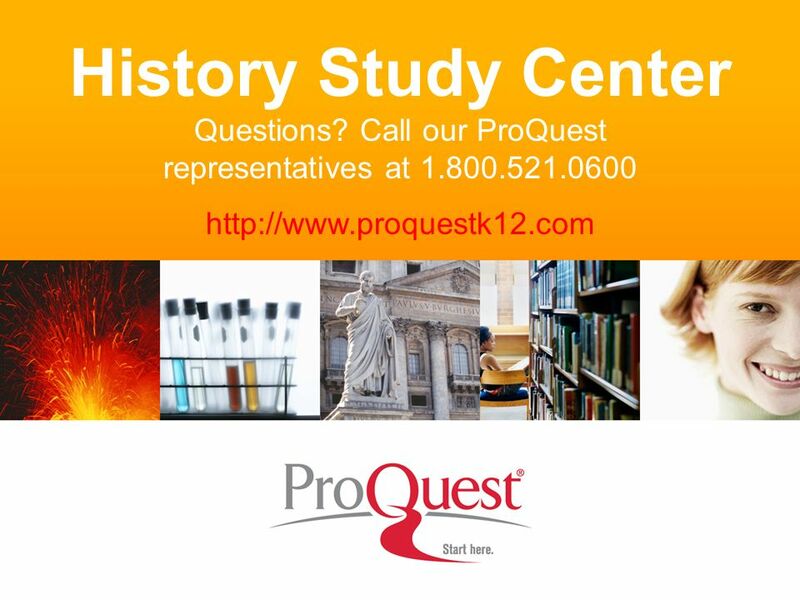 PROQUEST SIRS ISSUES RESEARCHER INSIGHT INTO TODAYS LEADING ISSUES Online Tutorial sks.sirs.com | proquestk12.com. 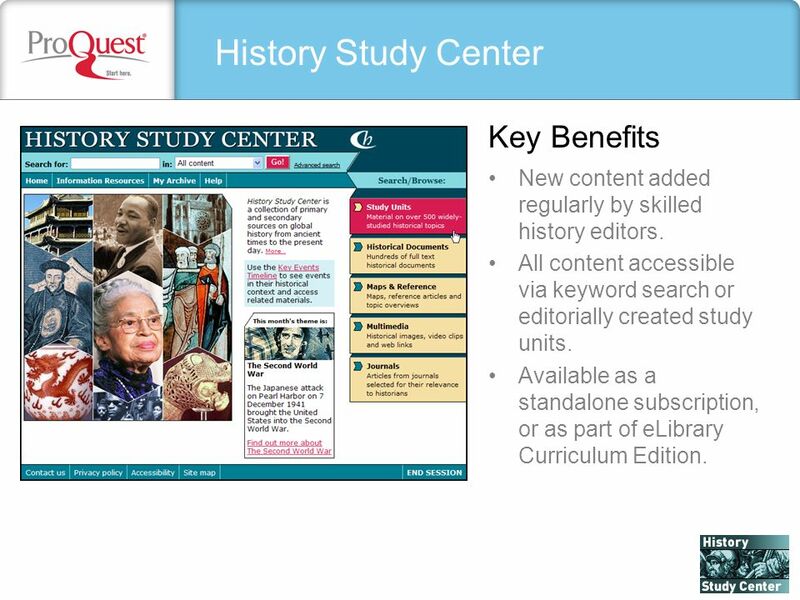 ELIBRARY CURRICULUM EDITION The ultimate K-12 curriculum and reference solution. CULTUREGRAMS CONCISE, RELIABLE, UP-TO-DATE COUNTRY REPORTS DELIVERING THE WORLD… TO YOU. September 2013. Publishers Web Sites Standard Features. Objectives Access publishers websites Identify general features available on most publishers websites Know how. 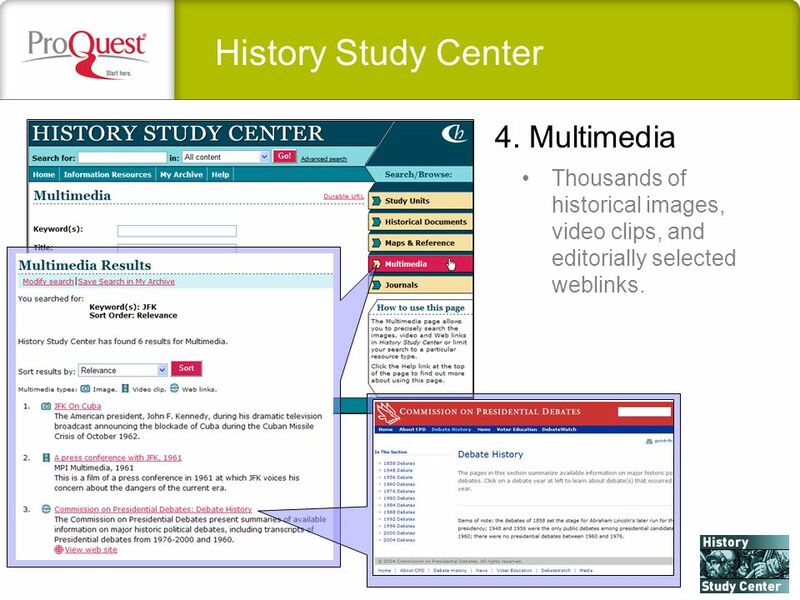 History Study Center Primary and secondary sources documenting global history 2010. 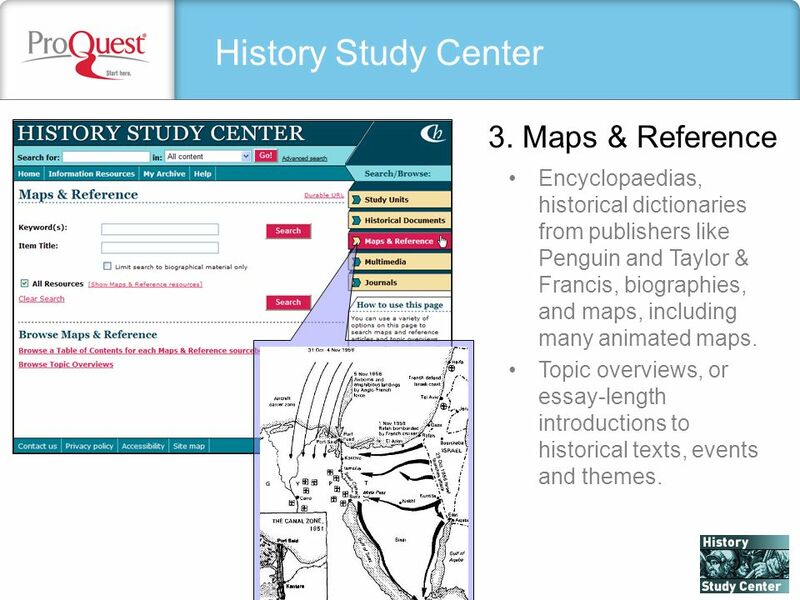 This tutorial is designed to take you through the features and content of Oxford African American Studies Center. Please click "Start the Tour" below for. Art Welcome to the guided tour of Grove Art Online, a resource available through Click anywhere to begin Oxford Online. Grove Music Online Welcome to the guided tour of Click anywhere to begin. R2 Library Features and Functionality Overview. The R2 Library  The R2 Library is an electronic database that enables access to digital book content. ABOUT THE GUIDED TOUR This tutorial is designed to take you through the features and content of Grove Art Online, available through Oxford Art Online. 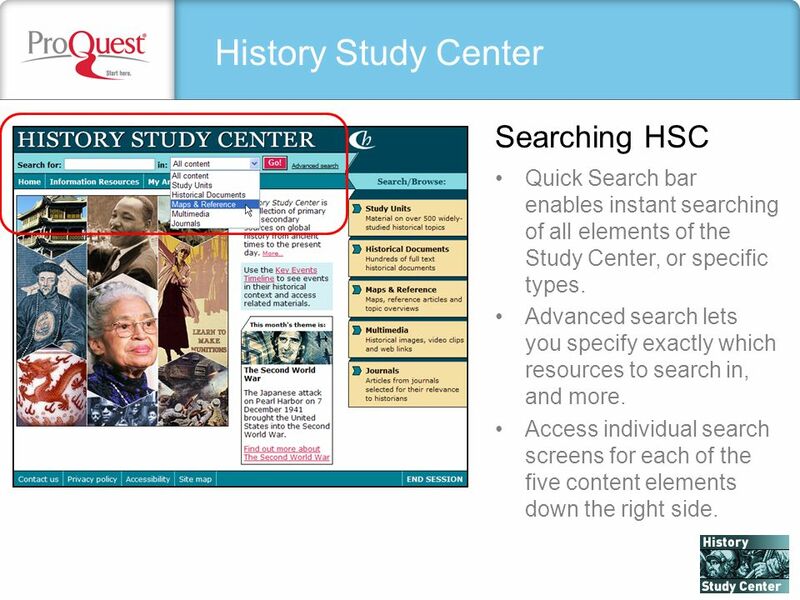 Everest College Resource Center How to Use the LRC Website.